EMPLOYEES of Globe Telecom joined hundreds of volunteers from USA, Italy, India and South Africa, in helping international non-government organization Rise Against Hunger (RAH) achieve its goal of entering the Guinness World Record with the greatest number of people assembling hunger relief packages simultaneously at multiple venues in five minutes. 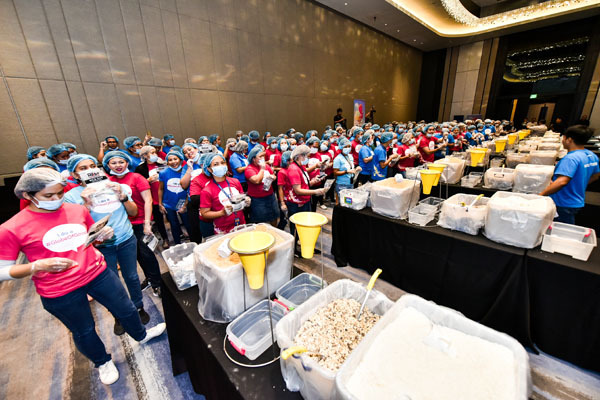 Amid an atmosphere of excitement, 214 volunteers from the Philippines were able to complete the task of packing meals consisting of a vitamin sachet, soy, veggies, and rice, in barely three minutes. The Philippine team also had the most number of participants out of 832 volunteers from over 10 sites globally. The Philippine volunteers were propelled into action not only by the knowledge that they will be part of history but more because of their innate desire to help. All meals packed during the Manila leg will be distributed to families in Cagayan Valley and Benguet who suffered from the onslaught of Typhoon Ompong last September. Funds for the Philippine meal packs came from donations by some 17,500 Globe customers of their Globe Reward points amounting to P1.1 million which was further matched by Globe for a total donation of P2.2 million. Even after the Guinness challenge, the volunteers continued to pack the rest of the over 22,000 meal packs which will provide 1,500 families with sustenance for at least 14 days. “While Globe works towards reaching its business goals, it also provides employees with greater opportunities to help in the communities and marginalized sector of our country through various means. 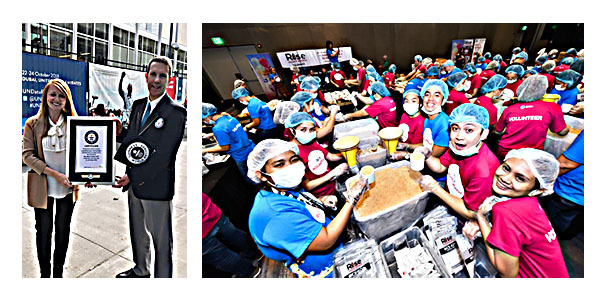 Supporting Rise Against Hunger in this meal packing activity is one way of instilling a sense of higher purpose among our employees,” said Yoly Crisanto, Globe Chief Sustainability Officer and SVP for Corporate Communications. 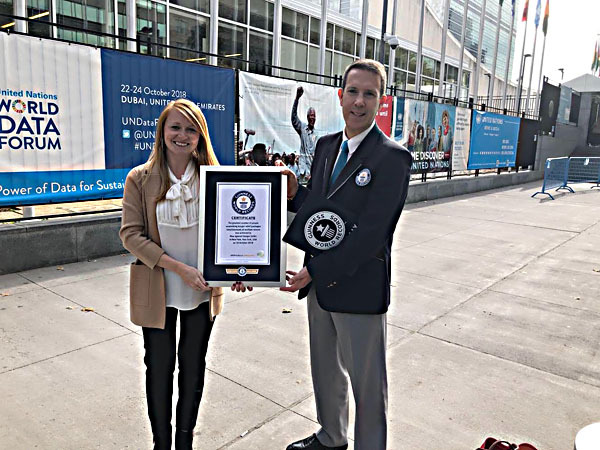 In 2017 alone, Globe employee volunteerism reached an all-time high of 3,803 unique employee volunteers, comprising more than half of the entire Globe workforce.